Barricades come in many different forms, but ultimately they all serve the same purpose: traffic control and safety, crowd control. Protecting people and drivers from potential dangers. Their forms include portable event barriers, crowd control event barriers, portable fences, traffic barrels – they are so ubiquitous that you probably don’t even realize how often you see them. That’s because the ultimate goal of any setup is to create a safe environment that reduces or eliminates entirely, the likelihood of injuries or accidents with a combination of visual cues and physical barriers. People are so used to seeing these that in most cases crowd control signs are not even needed to tell people what to do. Car drivers instinctively know to slow down when they see a string of traffic barrels on the highway, even parade spectators or pedestrians know not to jump metal police barricades. At Buyers Barricades, we help you make smart decisions about the equipment your business or organization needs to run smoothly and effectively. We personally help you figure out which barricades work best for a particular situation. 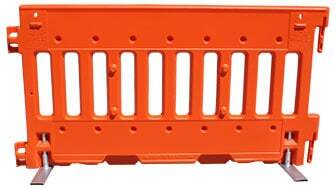 Barricades that control crowds in areas where traffic is present or where large crowds are expected. Public service organizations, businesses and schools across the country all use pedestrian barricades as their primary method of crowd control. Purchasing pedestrian barricades is infinitely more cost-effective than hiring employees to keep crowds in check. You can set up portable pedestrian barricade installations, and choose between a variety of products at different price points. 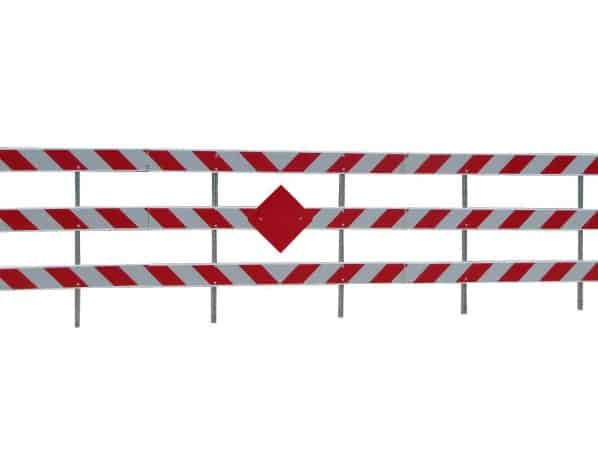 Barricades that direct, stop or reroute the flow of traffic and even cordon off dangerous areas of a construction site from pedestrians, workers, and drivers. 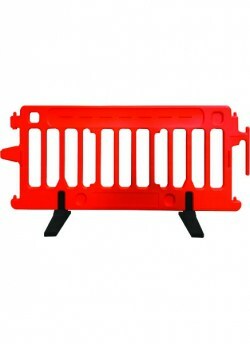 Road or safety barricades or traffic barricades control traffic flow. They notify workers of hazards on construction sites, create a safe zone around an accident site, form roadblocks, and make safe drop-off zones at schools. Type I, II, & III.